Am I Smarter Than A Harvard Grad? Harvard is an amazing school. But even they don’t always get it. 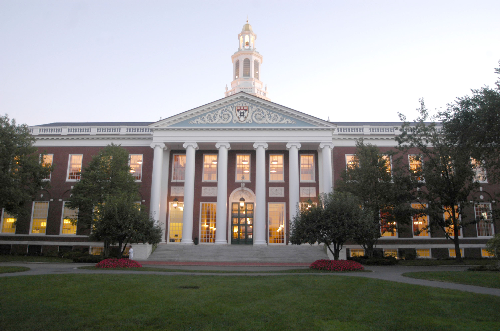 There was a study done on students enrolled in the Harvard MBA program in 1979. The results were published In What They Don’t Teach You in the Harvard Business School, by Mark McCormack. It was a pretty simple study. The students were asked, “Have you set clear, written goals for your future and made plans to accomplish them?” When the answers were tallied, amazingly, only three percent of the graduates had written goals and plans. 13% said they had goals, but had not written them down. An astounding 84% reported that they had no specific goals. The study picked up again ten years later. Here is what they found. The 13% who had goals were earning approximately twice as much as those with no goals. And the three-percenters? They were earning, on average, ten times as much as the other 97%! The power of a goal. What about you? What is your goal? Is it so clear that you can draw it with a crayon? How do you set such a goal? Well, for openers, it helps to be S.M.A.R.T. So how do we go about setting S.M.A.R.T. goals? First, we Plan. A goal without a plan is just a wish. Set aside time to brainstorm and plan. It is critical that you know where you are going. What is the goal? What are the steps to get there? What resources do you need? These are but a few of the questions that go into the planning phase. I once heard a story about Einstein. He was traveling on a train, and as the conductor came through to collect tickets, he began search for his ticket. It wasn’t in his briefcase. It wasn’t in his luggage, nor his coat pocket. It was nowhere to be found. As Yogi Berra once said – if you don’t know where you are going, you might wind up someplace else! Second, we Prepare. Preparation is the critical link between the planning and execution phase. It is at this stage that we gather the information, data, contacts or other information that we need. We organize our information, lay out our process, and assign milestones in our plan. Write it down! An unwritten goal is just a daydream. Know this. Your goal, the success you are dreaming of is already out there, just waiting for you to catch up. This one step – setting a goal and sticking to your plan until you achieve it – changes everything. For more information on goal setting, request the free SMART Goals™ worksheet, available through terrynewberry Seminars at terrydnewberry@bellsouth.net. This entry was posted on Wednesday, November 23rd, 2011 at 8:54 pm	and tagged with Goal, goals, Harvard Business School, Harvard University, inspiration, make money, Mark McCormack, motivation, S.M.A.R.T, success, terry newberry and posted in Uncategorized. You can follow any responses to this entry through the RSS 2.0 feed. « What’s In It For Me?